Comprises of 7 modern, luxury self-catering units. All units are two bedroom units that can accommodate 4 people per unit. Daily cleaning can be arranged at an extra charge of R250 per day and linen will be changed after 3 days unless otherwise arranged. 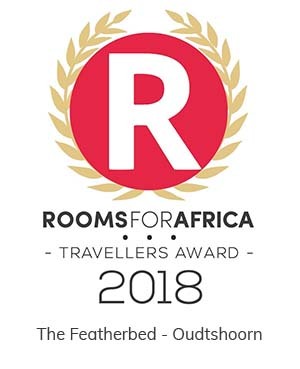 The Featherbed previously known as Esterhof, has some historical background which we will be sharing with you in the near future! Welcome to our quaint little town, bursting with pure South African charm and flair. An ideal spot for a getaway from everyday city life blended with an opulent historic experience. Oudtshoorn offers tranquillity and the most picturesque sites with ample attractions in this area we are blessed with incomparable contrasts and natural beauty. 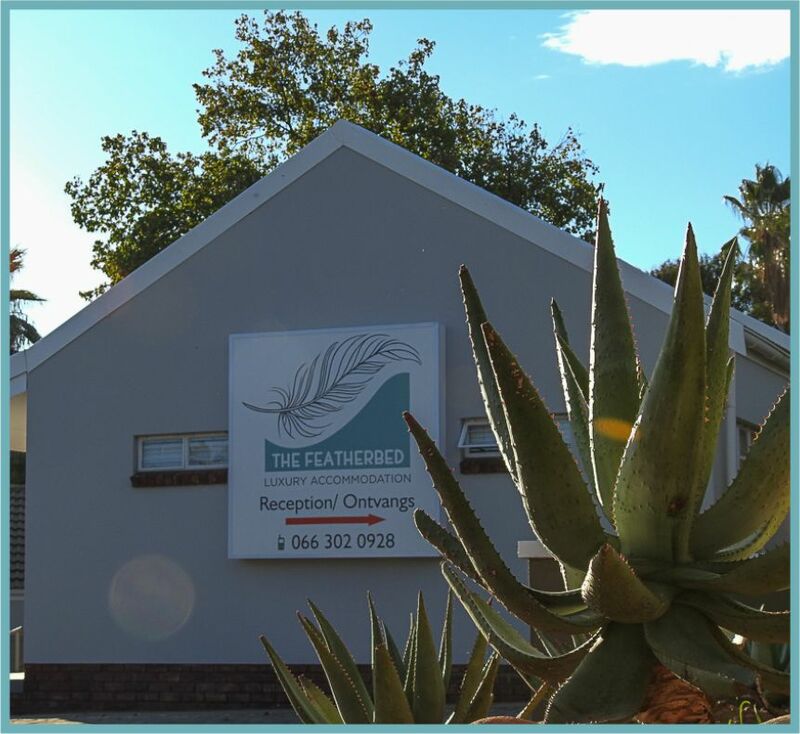 We are conveniently situated on the main road and every local will tell you this is a trendy and fashionable suburb with easy accessibility to and from town forming part of the heart and soul of Oudtshoorn. The area boasts some fine restaurants, an Ostrich boutique and excursions with character for a culture rich adventure.